You might be having an extremely expensive smartphone with a great selfie camera and ample amount of megapixels, but nothing can match the quality of a DSLR. Earlier, people used to rely on camcorders for making videos on a family gathering or an important event. Then why did people turn to DSLRs for recording videos? 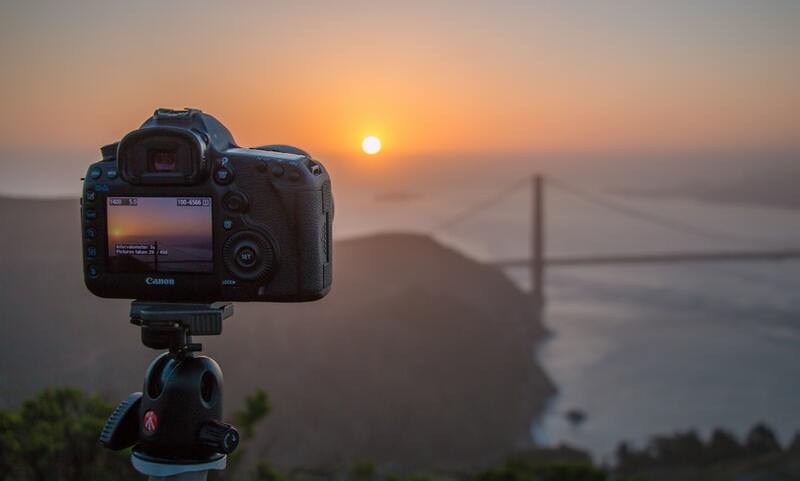 It is because with a DSLR you can make high-quality videos, it functions well in low light conditions, can accept external microphones, and take professional still photographs. Today not only professional photographers and filmmakers resort to DSLRs, but many you tubers, young artists, and those who consider photography as a hobby have started investing in DSLRs. Many advanced DSLRs have video capabilities; some models excel the rest when it comes to particular features wanted by videographers. If you are also looking to purchase one, then this reading this guide will help you a lot in finding the best DSLR camera for video. SHOW ME THE TOP 10 DSLR CAMERAS FOR VIDEOS NOW! You may be baffled due to many questions in your head like which DSLR model to buy? Which one will be better for making high-quality videos? What factors to look for before buying the best DSLR camera for video? All your doubts will be cleared in this guide, but first, we will let you know the basics. What Is DSLR and Why Should You Buy It for Video? DSLR is an abbreviation for digital single-lens reflex as these cameras utilize a special reflex design which makes them different from other digital cameras. The design is created as such to allow light to pass through the lens, plus a mirror to join as the mechanism that delivers image or video to their built-in image sensor. This permits higher-quality and more advanced technology fixed into the camera. You might be thinking now that how does a mirrorless camera different from a DSLR. In mirrorless cameras, the light passes through the lens and the moves towards the image sensor, which permits you to see a glimpse of your image on the display screen. The major difference is that the use of mirrors in a DSLR helps you to view what you are aiming to click, and this makes them bigger. On the other hand, mirrorless cameras do not have mirrors and thus are of a small size, allowing you to view what you are aiming at, on a display screen. 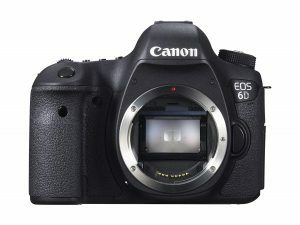 Not only mirrorless cameras but there are other cameras as well which are available for clicking pictures and shooting videos like action cameras (they are specific cameras with regards to their use.. , But no matter what, DSLRs are still considered by many people the best ones for both, filming videos and for photography. If you are sure about buying one for yourself this season, then you have made the best choice so far. Keep this in mind if you are buying a best DSLR camera for a video that DSLRs allow you to make a video only up to 30 minutes long in one go. If you want to record for hours, you will have to press the record button again. DSLRs comprise an optical viewfinder which aids to connect you with what you are aiming at. It is also helpful when bright sunlight makes it tough to use the LCD screen. An optical viewfinder’s main function is to help you to view your subject as it moves and capture it with no lag time at all, between clicking the shutter button and getting the shot. With a DSLR in hand, high-speed shooting is possible because the camera can easily capture resolute moments with quick framing rates. The optical viewfinder, which we had mentioned in the previous point, also provides you with the benefit of high-speed autofocus to capture exciting movements and action. A DSLR camera is a great choice for you if you do not want to miss even a single second, be it when you are shooting young children, wildlife, sporting events, dance or play performances, etc. A DSLR camera is a careful combination of an advanced image processor and a large CMOS (APS-C or full frame. sensor for producing high image quality in a variety of shooting situations. The large sensors help to provide the best picture quality so that not even a single detail is missed. If you are wondering what flexibility has to do with how a camera functions, we are here to clear your doubts. Flexibility with regards to a camera means how well the device can handle a variety of situations. With a DSLR you are allowed to choose from different lenses built for specific clicks, plus a variety of flash options. No comparison can be made with other kinds of cameras when it comes to aperture as DSLRs come with wide apertures and this feature comes with two big advantages. First of all, the shutter speeds can be extended to the maximum because more light can pass through the camera. The other thing is, it allows you to control the depth of field in the pictures you click. Now that you have some idea about the basic functioning of a DSLR and how its features are different from other types of cameras, we can move onto another important section of our guide. The next section is about the factors you need to consider before purchasing the best DSLR camera for video. The first step is to decide how much you will be willing to pay. This is the beginning step because an individual knows best about how much his or her pocket allows. There are a lot of options available today that can easily confuse you. The DSLRs can cost as low as $300 to $1000 and above. How much you are willing to pay will determine the kind of model you will get. If you keep going high up on the ladder, you will probably get top quality models with amazing additional features. It has always been like this; the sweeter you want it, the more sugar you will have to add. A lot of these DSLR cameras come with a standard lens that does function quite well for shooting videos. If you are not going into some particular kind of shoot and know what you want, utilizing what comes with the package will work great for you. It is a different case if you are spending on a “Body Only” package because then you will have to buy a lens by yourself. Those who do not care about fancy or advanced lens looks and instead want something to merely shoot their 1080p videos with should invest in a budget-friendly convenient lens. Those lenses cost no more than $100 to $200. If you are still not clear, then you can read particularly more about DSLR lens and check out the next section of our guide where we will be reviewing some of the best DSLR cameras for video. There are many extra features that DSLR cameras boast, and those depend on your taste and what you require. There are different filters available, shooting modes, ISO, back focus, exposure compensation, highlight control, etc. No matter whichever model you select, make sure you go through the manual and read up all about the additional features the model comes with. If there are any features that you feel are unnecessary, you can always you for some other model because the price drops if there are less extra features offered. This is one of the most important factors to consider while buying the best DSLR camera for video. The standard cameras that come today offer 1080p, and if not, they are not worth buying. If you can lay hands on a DSLR camera which offers up to 30 fps too, you have invested in a great one. But if you want to take it a step further and want something more high-tech, you can look at the compression kinds, digital processors and the kind of quality the specific model offers. There are many kinds of additional accessories that you may require once you get a hand of the DSLR camera. There are many accessories like video editing software to finally edit your videos, tripods, extra lenses, straps, camera bags, etc. If you are a novice and have recently started learning about shooting and photography, we suggest that you better read up on all the accessories which accompany a DSLR camera. There are certain accessories you just can’t refuse to buy, and therefore you will have to construct your budget keeping that in mind. Do note that some online sites and retail stores sell full camera packages which include all the important accessories. If you want something like that, you can always check out and know more. This may sound silly to read at first, but some online retailers do not label the models they have on their websites as clearly as they ought to do. This may leave you confused, and you may have to work out yourselves to find out which model of a specific camera you are looking at on their site. To add more to such confusion, what some retailers do is that they name the models differently for selling in other countries. You need to be careful of all that so that you do not end up buying a wrong model in all this confusion or end up paying more than what the market price is for the best DSLR camera for video. Now this one is for those who want to buy a new camera for their older lens or want just to utilize their older lens. You can do that because many new DSLR models work with older optics, though the situation can be different with each manufacturer. For example; Canon’s recent DSLR models work with older EF lenses without any problems. Other things like autofocus and metering function as expected. Massive amounts of damage can be caused if you mount E-S lenses on EF camera bodies. So make sure you check beforehand to not cause a damage anything. You may want to use lenses from a distinct mount on the latest body. It is quite possible, but note that some camera bodies are more accepting because of the differences in their physical designs. If you are still in doubt, you can confirm whether an adapter for the lens’s system to the camera you wish on using exists. In the end, be sure to check if you have the lens-to-camera order correctly. People do like to change between camera systems at times, but it can be a little annoying if you necessarily need to sell the whole body and the lenses. It is because of this that you need to think about future upgrades. It is a good idea to consider other products in the same range and look at other models you may want to upgrade sometime in the future. If you just check it once you may change your mind and may want to buy a different model with more upgrade options than the one you originally on your list. Sometimes a few selected brands release lens plans to show how a system will progress in the coming years. They even come up with lens names and expected arrival times of the new product. These are specifically useful for the latest systems with fewer lens options as it offers individuals more trust to invest in a system that is not fully constructed. Some brands just give a glimpse of what they will be launching in the coming months or years while announcing other products. Be alert to catch these announcements by manufacturers, and you will not be disheartened as you come to extend your device in the future. This is important to keep in mind before you finally buy the best DSLR camera for video. Another thing which many people observe when buying and using a new camera with more megapixels is that their images lack some sharpness. The pictures may appear a little too soft or blurry. This is due to some reasons. It can be that you would not have checked the clicked images to the same extent on the previous camera with low megapixels than the new one. Nothing about your lens has changed; instead, you are just checking details in a screen at a bigger level than you have been doing earlier. Some sensors can affect a lens’s abilities, so any kind of optical deviations or a little softness that were not observable before may now start to show. You can also use a little faster shutter speed or maybe an operative image stabilization system to take more help. A few image stabilization systems also require a short moment to set for increases effect, so you need to take your time and try to click on the shutter-release button a little more gently. Some cameras capture 4K video and can o it at 15 fps. Some models may even claim a crop factor in the footage. This makes it challenging to get wide-angle framing. Other cameras may boast brilliant continuous shooting rates, but they may not be able to sustain it for a longer period, and this is what makes them less practical to use. Headline features sound cool but you need to check the particularities on the manufacturer’s website so that you have a clear idea and do not end up purchasing something that does not serve the purpose. Make sure you have the correct memory card as it will aid you with recording high-resolution videos or fish quicker continuous shooting rates. Go through the recommendations made by the manufacturers in the manuals. You can read the camera manuals online before purchasing a best DSLR camera for video; it just adds up more to information about the device. Sometimes many camera manufacturing brands do not provide a particular accessory with a model you may have selected, that does not mean that you stop trying. You can find it elsewhere if you try. Especially when it comes to some of the most popular systems, they tend to entice some third-party accessory options which are particularly build to serve your device. They can be camera grips which help to improve handling, lens adaptors to offer cross-system compatibility, etc. Some of the accessories also come with added benefits. For example; Metabones Speed Booster allows one to move a lens from one device’s body to the other as well as offers you an increased aperture than what the lens would usually allow for. Cash-back offer which is also referred to as a rebate is generally offered on DSLR cameras. It is not only offered to older models that manufacturers want to get rid of. But to avail, this service you may have to buy your specific model via an approved retailer, including a particular timeframe and you will also have to fill out a form which proves the purchase you made. You can also get your cash back on a pre-loaded credit card instead of a bank transfer or a cheque. It is always worth the effort to spend some time to check these things because here you are not purchasing a candy, rather a device which runs into three figures. This is the last one on our list of important factors to consider before buying the best DSLR camera for video. We all expect that every camera should necessarily come with a warranty period of some sorts and manufacturers do offer warranty for their products. It is just that the warranty differs from model to model. It can happen that one you register a camera online that the manufacturers offer an extended warranty on the product. So if you are getting a standard warranty of a year on a model, the chances are that you can get an additional year if you register on the brand’s website. This goes for many camera brands out there. Warranty period can be marked on the packaging of the camera or on the website from which you buy your model like, Amazon or eBay. When the package arrives, you may get a card which may mention all the details. You will require your camera’s serial number and receipt of the product, so make sure you keep those documents safe not only till the warranty ends but even for selling or upgrading in the future. You may also find warranties on your specific model separately on the manufacturers’ website. But we suggest that those are not of any good value to invest in. Make sure you keep all these factors in mind before short-listing the DSLR models. These factors will make your selection task easy as now you know what things are important to look for. Some people even have specific things in mind which they want in their device. We will help you more by listing some of the most popular DSLR cameras of the year 2019 in the next section f this guide. 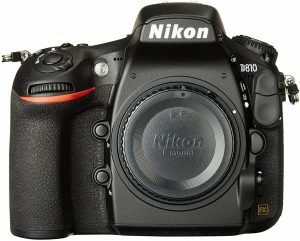 This section of the guide will list some of the best DSLR cameras for shooting 1080p HD videos. Remember to keep the previous points in mind before shortlisting the models. You do not have to stick to these models necessarily; you can, of course, check other models and different brands. 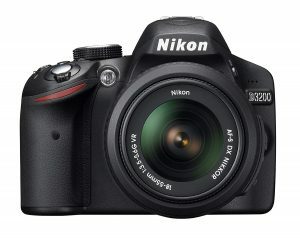 The DSLR camera which tops our list of best DSLR cameras for video is by the renowned brand Nikon. This specific model is amongst the most popular DSLR video cameras because of many features it flaunts. The first thing we will like to highlight is that it is not at all costly so that it will fit into your budget. 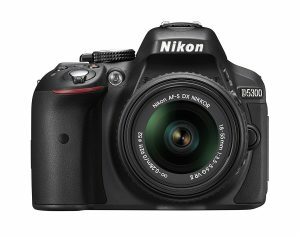 If compared to many other different kinds of DSLRs available online, this one offers the most features as well as is very affordable. It has been rated quite high among the current users because of its build and him quality it offers. You can click photos that are of 24.4 megapixels and make videos of 1080p full HD. There are no doubts about its video quality as the image sensor employed in this DSLR camera does not have an optical low-quality filter. If you want to use it to click photos, you can use your cell phone with the camera because of its WU-1a wireless adaptor (it helps to send photos to your smartphone automatically.. The build of this camera is very compact, so you can easily carry it with you when traveling. But make sure to buy a camera case if you want to capture the mountains and take it with you to other traveling spots. This model comes with an additional lens kit, so you do not need to worry about the lens. If you desperately need a great DSLR camera for shooting videos and are low on budget, then this is the best choice for you as it costs under $500. The second one on our list is y another evergreen brand; Canon. The Canon EOS Rebel is one of the best cameras for its cost. This one is a popular model in the video camera industry because of many reasons. First of all, this one is cheaper than the previously mentioned model by Nikon, so there will be no problem with regards to fitting your budget. This one offers 1080 HD recording with a DIGIC Image Processor. This device comes with a built-in 3.0″ LCD screen for Live View. It also offers terrific recording quality even if you are shooting in dim light, because of its 63-zone, dual-layer metering system that aids in expanding the ISO range. It also comes with an added feature called “Scene Intelligent Auto” which automatically alters settings based on the environment or the conditions you are shooting in if you do not feel like altering them manually. The overall build of this camera is strong and lightweight. We assure you that this model will not disappoint you and will last for quite a long time. This one also comes with an added lens kit with the whole package. This is another model by Canon which is popular for its video quality. It is for sure a little too costly as compared to other DSLR cameras, but its cost is justified due to some of its features. It comes with a full-frame CMOS sensor (22.3 megapixels.. It is also equipped with a high-quality image processor (DIGIC 5+. which helps your recording to stand out in matters of clarity. You can record a full HD 1080p video at 30 fps and a great 3.2″ 1.04m- Dot LCD monitor. This camera has low sensitivity so if you ever film under dim light or dark conditions; it will work exceptionally well. When it comes to clicking high-resolution photos, the HDR and Multiple Exposure modes offer some creative space. This is the best DSLR camera for videos for those who know what they want to do, want to learn complicated camera mechanisms, or just want the best of it when it comes to the price. If you feel the need to buy a high-quality video recording DSLR which serves you well for shooting videos for professional reasons or otherwise, you can go for this one. To some people, the price does not matter that much as they are willing to shell out the maximum they can and to those who can afford it, this camera will not disappoint you. 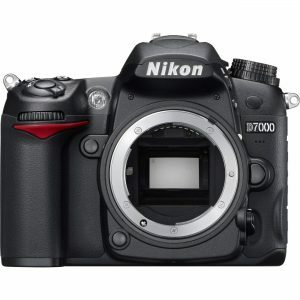 This one is another brilliant model by Nikon which will cost you under $500 and flaunts some pretty good features for its price. This one comes with 24.2 megapixels for photography with DX-format CMOS sensor, VR image stabilization lens (18-55mm. and full HD 1080p video quality. The 1080p is available in 30 fps, 25 fps, or 24 fps. If you are looking for 60 fps, it is not available in this model. The quality that this product claim is considered as a norm among the video camera world. If you want to use this DSLR camera not only for video recording but also for clicking photos, you have a four fps continuous shooting function which is great to experiment with. We recommend this DSLR camera by Nikon if you want a cheap and affordable camera because it is extremely budget-friendly. One added feature is that it comes with a lens in the package itself, so you do not have to worry about that. This is another model by Canon, again from the EOS range which is one of the best for shooting and filming videos. It priced a little more than other popular models like those we have reviewed earlier. But it will not fail you because of its features and specifications. This one comes with 20.2 megapixels, and the sensor is full-frame CMOS. It offers a broad range of ISO from 100 to 26500, plus a very advanced low light adaptability. It also flaunts a higher quality image processor as compared to other models; this is perhaps the reason behind its high price. Additional features include a built-in Wi-Fi transmitter to assist you with the transfer process and in matters of video quality. You will not be getting 1920*1080 at 30 fps, anyways the compression option it offers you, places it above those models that provide the same resolution. It is important to know that it is not only about 1080p, but the compression also matters (how the clips are compressed. 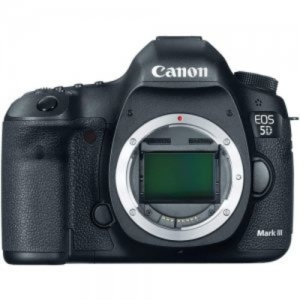 We recommend Canon EOS 6D if the 5D Mark III is priced at a higher rate for you. You will get this model lower than the other one and still enjoy a quality-focused camera t stand out from the average photos and videos. It is regarded as the best DSLR camera for video also in PC Mag’s article. 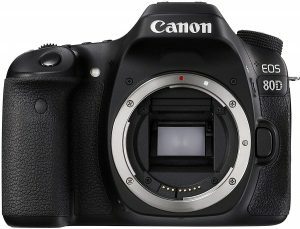 It is a 16.2 megapixel DSLR video camera with DX-Format CMOS sensor like the other two D-series models listed previously. It provides 1080p full HD movies as well as an additional feature called the “full-time autofocus.” This feature helps to get rid of the sporadic zooming blurs you get when filming videos, plus a six fps continuous shooting up to 100 shots function. It also allows for customization of its settings so that you can experiment with your videos. It will last quite a while if proper care is taken. It also has 100% frame coverage to help you see what you are had captured or are capturing at the moment. This best part is that this model is pretty affordable too. 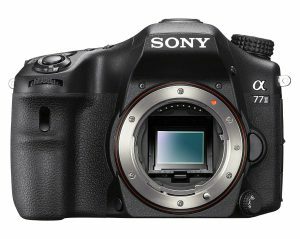 Now, this DSLR camera is different than the others because it is by a different brand; Sony. Sony has been manufacturing high-quality cameras for years, and this one is no less when it comes to quality. It offers 24.3 megapixels, an APS-C Exmor CMOS sensor and 1080p and even 4k quality options. It also has “4D FOCUS” which is their advanced technology to help with autofocus. It helps to get rid of occasional blurs when making the video or other disruptions we face. It also features built-in Wi-Fi and NFC so that you can easily share the clicked photos with your smartphone or laptop. If you are a Sony fan because you have used their other products, you can check out this model on their website and read other details from the manual because this device is not built to disappoint at all. The package includes a shoe cap, battery charger, body cap, eyepiece cup, micro USB cable, shoulder strap, and a rechargeable battery. With this feature, this is surely one of the best DSLR cameras for video. This is another one by Canon from the EOS range (electro-optical system.. This camera is popular due to its video quality and is a little costly too. It offers a 45-point all cross-type AF system for accurate autofocus as well as 24.2 megapixels (an APS sensor.. It also provides full HD 60p movies. It has a broad-area to offer you more coverage and functions extremely well in dim light conditions. 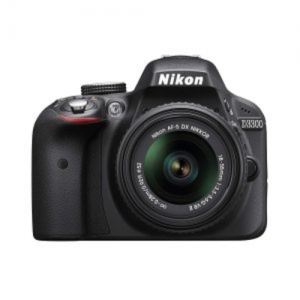 This is yet another model by Nikon which has made it to our list because it is budget-friendly and priced under $500. If the previously mentioned DSLR cameras were a little too expensive for you because of the extra features like autofocus and sensor technology, then this one will suit you the best because it offers all the important features within an affordable price. It offers 1080p HD video, 16.2-megapixel DX-format CMOS sensor, and six fps continuous shooting for up to 100 shots (for clicking high-resolution pictures. It gives 100% frame coverage, plus good light adaptability, and EXPEED 2 image processing. It also features a built-in monaural microphone, but you will also receive an external mic jack if you have an extra microphone to attach for audio recording. It is another DSLR video recording camera which will not cause a hole in your pockets and provide all the necessary features at the same time. The last one to make a place in our list of 10 best DSLR cameras for video is Nikon’s D810 FX-format camera. The sensor of the camera is as big as its frame. We recommend this DSLR camera to professional photographers and videographers because of its highly advanced features. It comes with 36.3 megapixels which are extremely high considering other models. It comes without any optical low pass filter which is an important part for those using it for photography. For making videos, this camera offers 1080p at 60 fps. Another added feature is that it is equipped with broadcast-caliber audio control which is built into the camera’s body. If you are the one who focuses a lot on audio, this camera is the best for you to invest in. We hope that this guide has given you enough ideas about DSLR cameras and their functions, features, different models, etc. Make sure you keep in mind all the factors that we had listed in the first half of this guide. 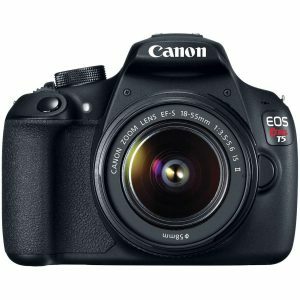 By keeping a few important things in mind, you will be able to buy the best DSLR camera for video at a great price.